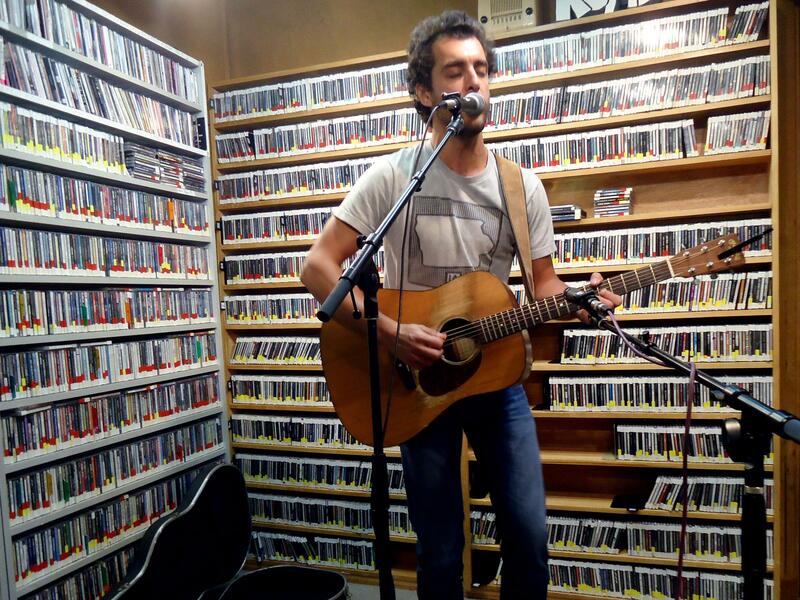 Listen to our session with this Iowa singer/songwriter from April 23, 2015. He performed the same night at Fitger's Brewhouse in Duluth. Dan Tedesco swung through the studios and played us a few tunes. Listen to our session with these alt-country performers on from April 9, 2015. Lee, based in the Minneapolis, was named best songwriter by the City Pages in their 2014 best of the Twin Cities poll, and Hugh Bob hails from Milwaukee. They performed the same night at the Red Herring Lounge in Duluth. Kendl Winter, currently homesteading in Olympia, Washington, and Palmer T. Lee, a Minneapolis native, weave two banjos and vocal harmonies into their own brand of rustic Americana. The duo recorded their sophomore album at Duluth's Sacred Heart Music Center, where they returned April 3, 2015 for a release show. They joined us in studio the same day. The Lowest Pair swung through our studios, played a few tunes, and chatted about their latest release. Listen to our session from March 27, 2015 with this Minneapolis indie-folk duo who recently released their first EP. They were in town to perform the same night at the Red Star Lounge in Duluth. Undlin & Wolfe swung through our studios to play us a few tunes and chat about their new EP. Listen to our session with brothers Teague and Ian Alexy from April 1, 2015. They'll be releasing a new album, American Shuffle, produced by Trampled by Turtles fiddle player Ryan Young, on April 21. They performed on campus the same afternoon as part of KUMD's first-ever music festival, NorthFest. Brothers Teague and Ian Alexy swung through our studios to play us a few tunes before performing as part of KUMD's first ever music festival, NorthFest.